CAREPLS forming lower high & lower low. 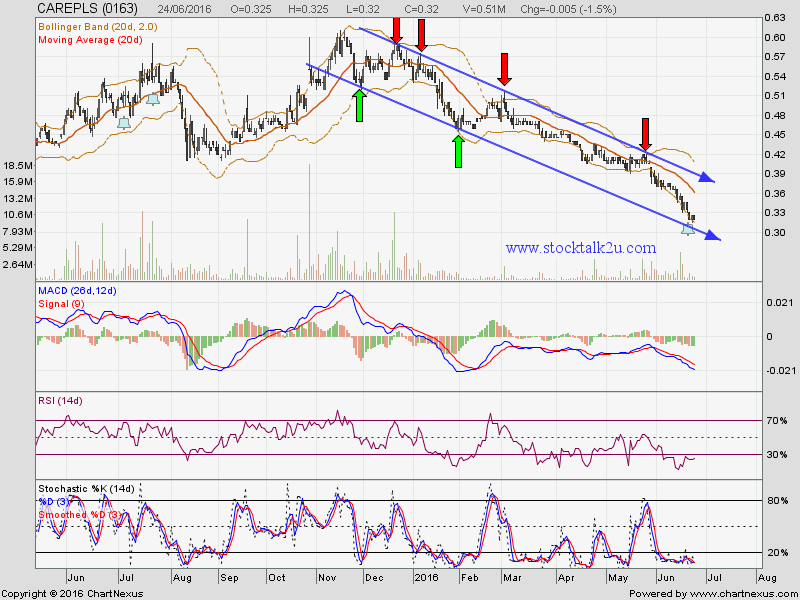 Will it be technical rebound @ RM0.32 support level ? Stochastic %K on oversold stage, pending BUY call. Subsequent suport @ RM0.305 level. Subsequent resistance @ RM0.365 level. 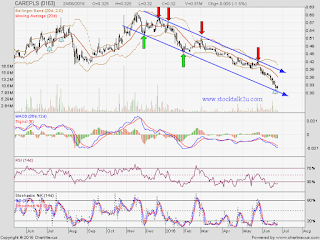 From technical view, CAREPLS is forming lower low & lower high, market sentiment is bearish. NO bullish reversal been form yet. From fundamental view, CAREPLS is export counter, will be beneficial on USD appreciation.